The Sabarimala shrine is opening on February 12 for Kumba puja. Meanwhile, Pathanamthitta deputy superintendent of police has submitted a report to the director general of police seeking to impose Section 144 at the temple premises. 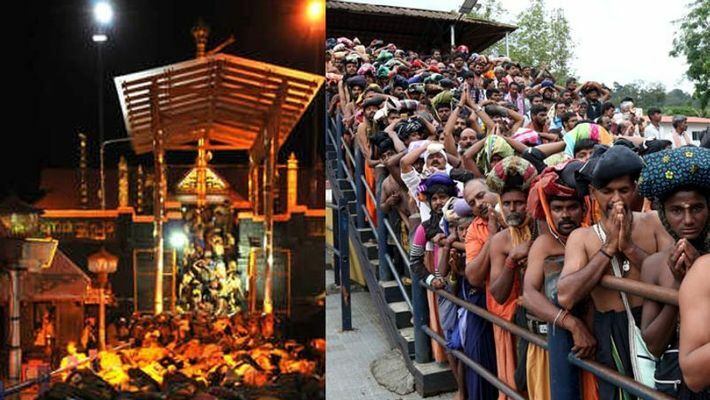 Sabarimala: The Kerala Police have ensured tight security at Sabarimala shrine as the temple will open at 5 pm on February 12. The temple doors will be opened for the Kumba puja from February 12 to 17. Several special pujas like 'kalabhabhishekam', 'sahasrakalasam' and 'laksharachana' will be performed during these five days at the shrine. Meanwhile, Pathanamthitta deputy superintendent of police (DySP) has submitted a report to the director general of police (DGP) seeking to impose Section 144 at Sabarimala. There is also an intelligence report, which suggests that more women would try to enter the shrine today. Around 2,000 policemen are deployed at Sannidhanam, Pampa and Nilakkal to ensure hassle-free darshan for devotees. The Supreme Court on February 6 reserved its judgment regarding 65 petitions on Sabarimala including 55 review petitions, four writ petitions, two transfer petitions, two special leave petitions (SLP) and one petition seeking time. Kanakadurga and Bindu, who entered the Sabarimala on January 2, told the Supreme Court on February 6 about their resolve to enter the temple again on February 12. Many Ayyappa devotees staged a protest on the streets of Kerala, by chanting Ayyappa slogans against the two women, who entered the Sabarimala temple on January 2. This incident earned the wrath of Ayyappa devotees, who have expressed their anger against the women and the state government for breaking the law of the temple tradition that was made hundreds of years ago. A Facebook community has announced that more women will reach the Sabarimala shrine today. Earlier too, a group of women tried to enter the Sabarimala with a seven-member team, sent by a Facebook group titled ‘Navodhana Keralam Sabarimalyilekku’. Ayyappa devotees from Andhra Pradesh and Tamil Nadu stopped the women of menstruating age, who tried to enter the shrine.